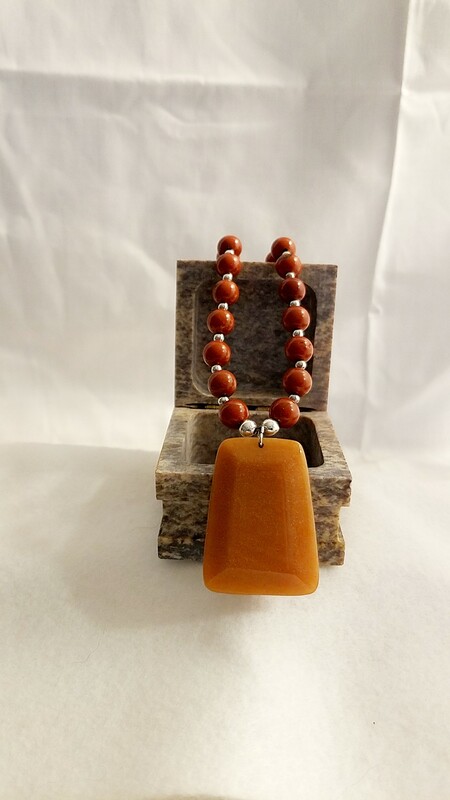 This Red Jasper Necklace With Carnelian Pendant Set is simply divine. 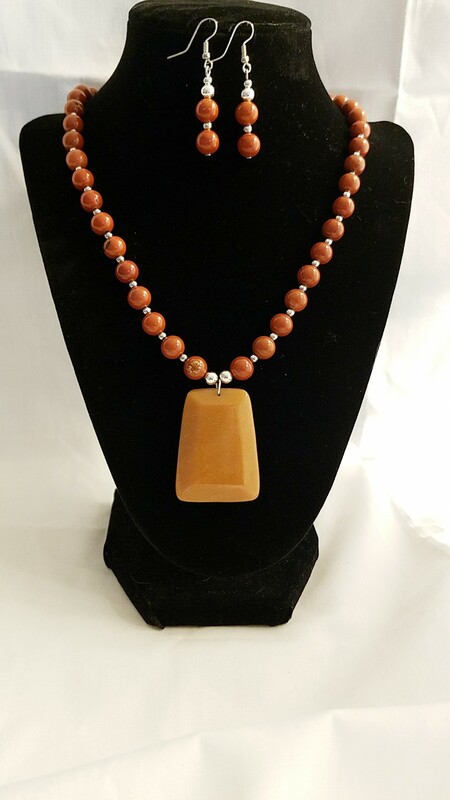 This Red Jasper Necklace With Carnelian Pendant Set is simply divine & with its warm colors will accent an autumn outfit very well. This Red Jasper Necklace With Carnelian Pendant Set is simply divine & with its warm colors will accent an autumn outfit very well. 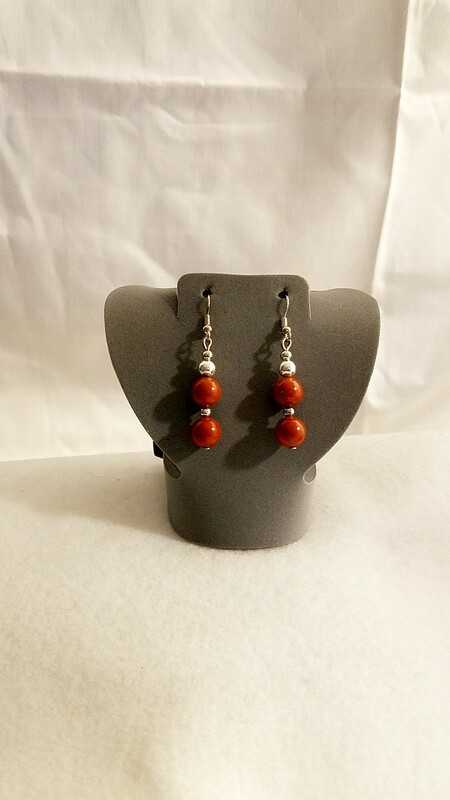 Made with Warm tones of the Red Jasper and Rich Orange of the Carnelian the two colors play off each other very well making the necklace and matching earrings simply divine. 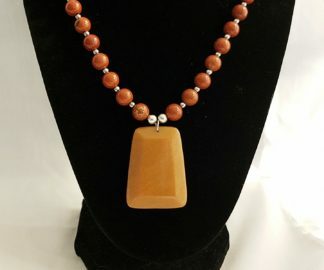 If you would like to know more about the gemstones, rings, and items that are used in making handmade items like this, Red Jasper Necklace With Carnelian Pendant Set; please take a look at the Material Description Page and my Chain Maille Descriptions page. 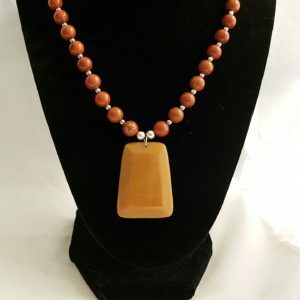 Let this Red Jasper Necklace With Carnelian Pendant Set accent your autumn outfit.